Panel Truck is ideal for moving artwork, tables, plywood, mattresses and other unwieldy loads. 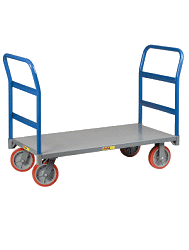 Rugged steel construction stands up to heavy cargo, yet this cart is lightweight and easy to use. Four 5in. poly casters roll smoothly. 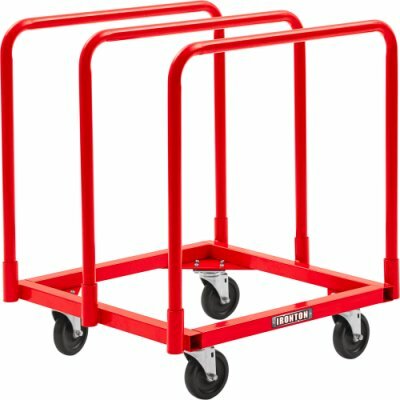 3 handles allow easy maneuvering. 31in.L x 28in.W x 35in.H.